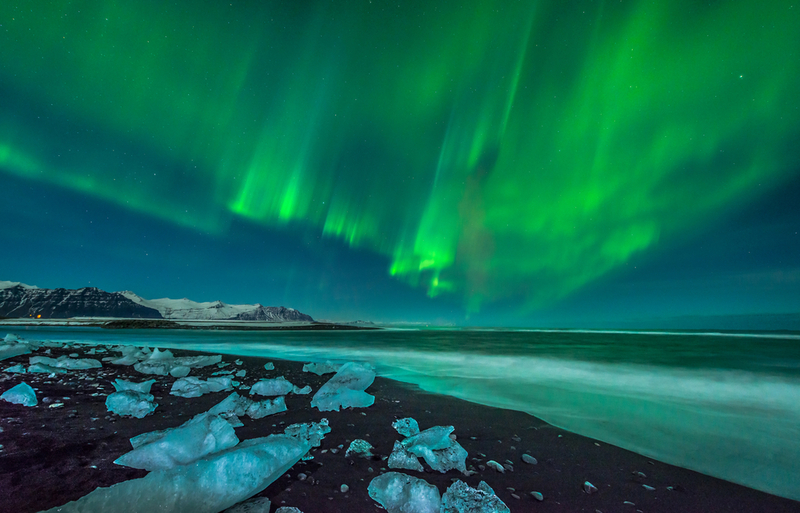 Which of the two seasons is more exciting, the summer with its endless midnight sun or the Arctic winter with the chance of seeing the dance of the Northern Lights. Both maybe? We can help you find out. We put in all the work necessary to give you a clear picture on how your perfect luxury private tour in Iceland will look like. Plan your private travel with the local experts. We have been guiding, leading tours and making travel plans for 20 years. If you want a peace of mind go with the expert local know-how on an Iceland Discovery private tour. Walk on a moon-like lava field, have your guide take you into a blue ice cave, sweep over the huge ice cap on a snowmobile, hunt for the Northern Lights. Rest the day in a nice boutique hotel and enjoy fresh catch of the day for dinner. It’s 10pm and you are alone by a beautiful waterfall, sun is shining. Hot geothermal nature baths, big whales on the bay, crampons and sunglasses for the glacier hike. Sneakers for the black sand beach. The cosy lodge by the lake is all yours. We meet you at the airport. We bring you to your hotel, the one we helped you choose from our array of special hotels. Then on to one of our fantastic private day tours, with exactly the activity you wanted . At the end of the day, you go to a restaurant we have reserved for you (somehow, they never fail). A day in a life of an Iceland Discovery traveler.